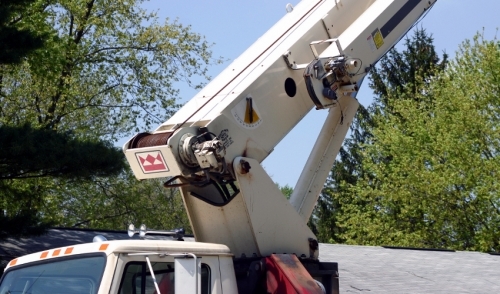 Share " If It's In the Air, Use a Lift"
Aerial lifts are among the most popular rental items for good reason. They offer huge productivity gains over ladders and scaffolding. Whether for construction or maintenance, lifts enable trained operators to reach everything that's up in the air. 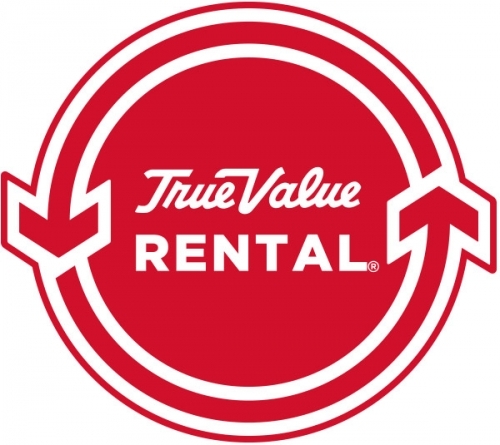 Depend on your area rental store to determine and explain important manufacturers' specifications located on unit model numbers. For example, a 2033 means the lift has a 20-foot platform height and is 33 inches wide. Together, you'll be able to determine the best unit for your specific job by answering the following questions. You'll use the lift either "on the slab" or "off the slab." For on-the-slab jobs (on a paved slab), most battery-powered lifts will do, particularly when the unit is to be used indoors where gasoline or diesel fumes from an engine-driven unit may be concerns. For off-the-slab projects like new construction sites where the terrain may be uneven, a gasoline or diesel engine-driven unit with larger, flotation-style tires may be best. Aerial boom lifts, with their ability to go up and over obstructions, are a better choice than straight up-and-down scissor or vertical lifts where a lot of obstructions are present. Along with drop-offs and holes on the surface, the presence of overhead wires, lines and other obstructions are safety hazards that must be considered. Is there access to electricity? The presence or absence of electricity on a job site is another qualifier. Electric units use battery power to operate the hydraulic mechanisms for lifting, and motors for moving about. These batteries need to be recharged. If no electricity is available, larger units that rely on diesel or gasoline engines for propulsion and battery charging may be the only option. Once a site is hooked to the electric grid and a slab has been poured, the user can switch to electric units. Lifts are rated by gradability rather than horsepower. In addition to being able to travel on rough terrain, the larger units should be able to get on and off tilt-back trailers or roll-back trucks easily under their own power. Units used on a poured slab typically require much less horsepower or gradability because they are operating on a smooth, level surface. How high is your highest working height? Maximum lift capacity is an important variable to consider before choosing your rental unit. What's being lifted where may dictate machine recommendation. Lift equipment is rated in platform height. As a rule of thumb, subtract 6 feet from the ceiling to get the platform height needed. For example, if you have a 26-foot ceiling, you will need a 20-foot reach unit. © 2019 Killingworth True Value Hardware. All rights reserved.